As much as it affects everyday activities in adults, breathing problems are equally traumatizing for children too. Unlike adults, children develop a sense of fear of suffocation when they suffer from breathing problems. Hence parents have to be extremely cautious with the child’s lifestyle and eating habits when they suffer from such conditions. Breathlessness and other breathing problems have varying stages and phases and are caused due to various reasons for each individual. Most of the time it is just because of anxiety and stress and in some cases, it could be due to some serious problems which will need medical intervention immediately. 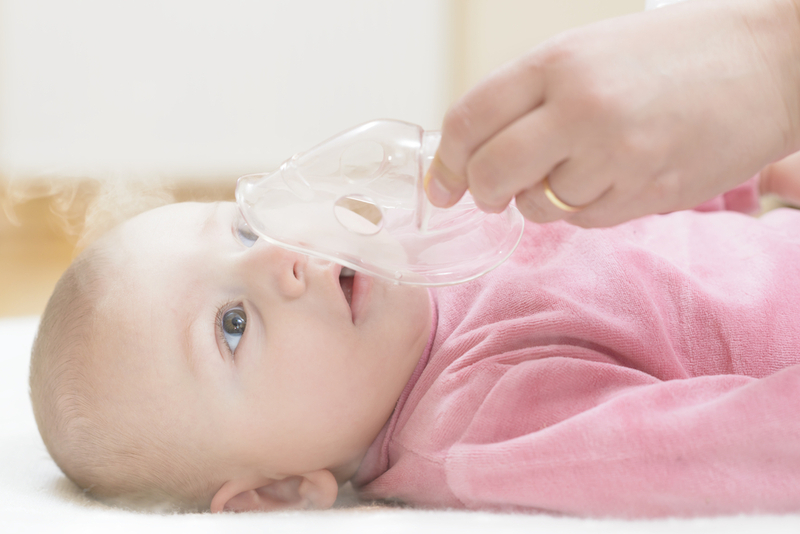 Here, we have listed out some of the causes of breathing problems in children, signs, and symptoms to look out for and treatments that can be given for the condition. There can be various reasons and causes for breathing problems in children which can be classified into temporary and long-term problems. Anxiety and stress faced by the child at school or home can also lead to breathing problems. Apart from the above-mentioned causes, there are some respiratory problems that children face which will require immediate attention and medical intervention for its cure. Some of the conditions which require regular medical treatment. Upper respiratory tract refers to the nose, mouth, sinuses, and throat. Any issues connected with these parts can bring about breathing problems in children. Lower respiratory tract refers to the windpipe (trachea), bronchi and lungs. Any issues connected with these parts can bring about breathing problems in children. As the immunity of the children is not fully developed, they are prone to infections. Bacterial infections very common in the upper respiratory tract. Sinus infection and tonsillitis are typical examples of upper respiratory tract bacterial infection that bring about breathing issues in children. Even though not that common, tuberculosis is a bacterial infection that affects the lower respiratory tract. Viral infection is the main cause of most of the upper respiratory tract infections. Examples are cold, sore throat, flu, etc. More often, these infections are not serious and will go away (maximum) in a week. Viral infections that affect the lower respiratory tract include bronchitis and pneumonia. In such instances, the child may develop a serious blockage in their airways and will be in need of hospitalization for treatment. Age is not a barrier to contracting asthma. Asthma can start at any age. However, more often than not, it starts during childhood. Wheezing and shortness of breath is the characteristic sign of Asthma. It intensifies with the severity of asthma. Allergies are a common cause of the respiratory issue in children. More often different types of allergies trigger asthmatic symptoms as well. Most common allergies in children are an allergy to mold, dander, dust, smoke, and pet’s hair. Allergies can bring about sneezing, either watery nose or stuffy nose in children. This will adversely affect their normal breathing. Congenital or other heart issues like arrhythmias (disturbances in heart rhythm) can also bring about breathing issues in children. Cystic fibrosis is a serious inherited disease which mainly affects the lungs and pancreas. A persistent cough, wheeze, repeated chest infections are the important signs of this disease and it brings about breathing problems in children. The symptoms of breathing difficulties are quite easy to notice. When you see such signs or symptoms, it is best to seek medical help immediately. When a child is suffering from breathing difficulties it is extremely traumatizing for the parents as well as the child. The best decision would be to visit a pulmonologist and begin treatment for the problem as soon as possible. Before beginning treatment, the doctor may suggest taking some tests to diagnose the cause of the problem. Some of the tests may include – CT scans, Chest X-rays, physically examining the child, lab tests to check for the functioning condition of lungs, allergy tests to determine if the child is allergic to any objects or food. Once these tests are done, based on the reports, the doctor may suggest a suitable treatment based on the diagnosis. Home remedies may be suggested if the problem is curable at home itself. In the case of acute problems, then life support measures may be suggested by the doctor. How To Prevent Breathing Problems In Children? Avoiding anything that may trigger the breathing problem such, places which are polluted, certain smells, dust, cotton or furry animals and pets which may aggravate the condition. Ensuring the child regularly takes the prescribed medicines and inhalers. In case of allergy to dust, ensure the child’s environment is always clean and dusted.